2018 was the year of creatively inspiring infographics. And for many good reasons! Though the trend started way back in time, it wasn’t until 2019 that marketers and designers realized the importance of using interactive elements in the infographic. The major motivation behind this was to ensure that users and readers are able to interact with the information contained within the infographic design. Resultantly, marketers were able to engage their audiences for a longer span of time. In 2019, interactive infographics creation transcended to become an art with a slew of informative, interactive infographics doing rounds in the design circuit with their strong aesthetics and impressive visual appearance. Without further ado, let’s explore the best Infographics till 2019 and let out creative juices flowing. Enjoy. 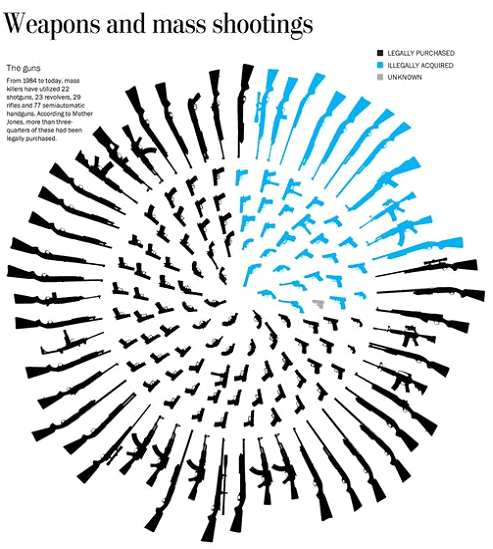 Published by the Washington Post, this infographics was one of the most talked about infographic in the year 2015. With its attention grabbing minimization, this infographic shocked the senses of Americans by revealing mass shooting data so overwhelmingly clear. Created by the Designhill team, this interactive infographic caught many eyeballs in 2015. Some of the best sites including Forbes published feature stories based on this data-packed infographic. Revealing eye-popping stats with brilliant interactive elements, this interactive infographic invariably makes to the list of best interactive infographic designs of 2015. 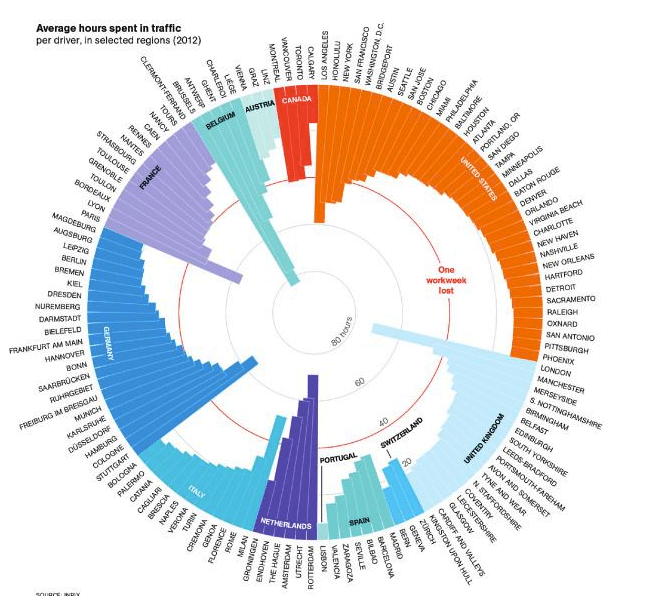 Yet another brilliant infographic, Commuter Science also topped the popularity amongst fans and patrons in 2015. This infographic reveals the time that people waste in their respective offices. 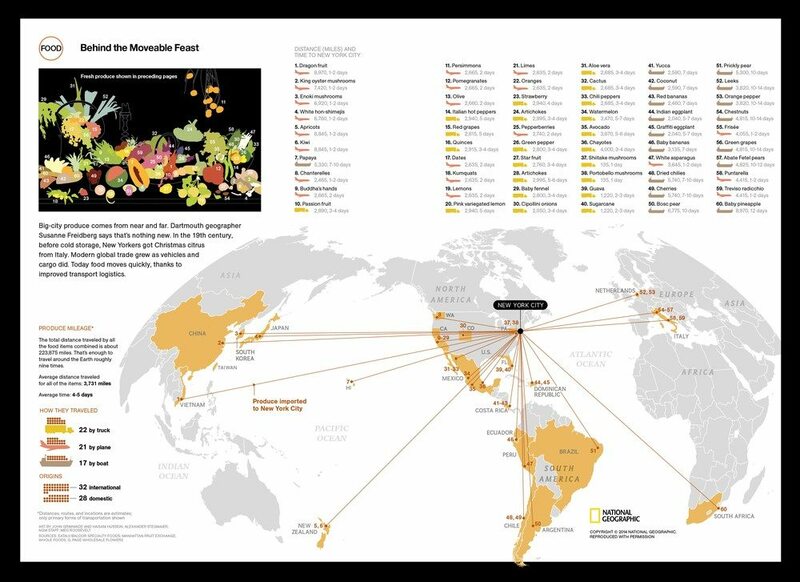 Created by National Geographic team, this creative infographic never fails to impress and inspire. Another great infographic design of 2015 from the stable of National Geographic. Global Fruit Bowl infographic may first appear as just another infographic, but as you give it a second look, it turns out to be an impressive data-packed graphical image, depicting high-end fresh produce for Manhattan markets that travels to a total of 223,875 miles, which is the equivalent of traveling around the Earth nine times. 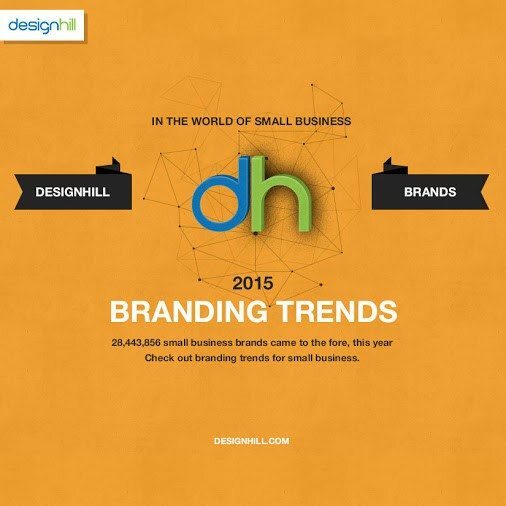 Yet another exciting example of infographics that capture the mind just like gripping thriller fictions, 2015 Branding Trends was created Designhill team and was lauded by several top-notch magazines and sites. Based on a survey conducted by Designhill, this infographic was loved by businesses and audiences alike. Though there were countless impressive interactive infographics that pleasingly becharmed onlookers in 2015, we chose to prune down the list of the best to just 5 in order to let you have a quick glance of what the last year had on offer. If you thought infographics are just another graphical elements, it’s time you thought again! Surveys reveal that interactive infographics have hugely impacted B2B marketing (52%) in the past 12 months. Remember, investing in professional infographic designs can help shape the face of your business for the future. Looking for Customized, On time, Infographic Designs? 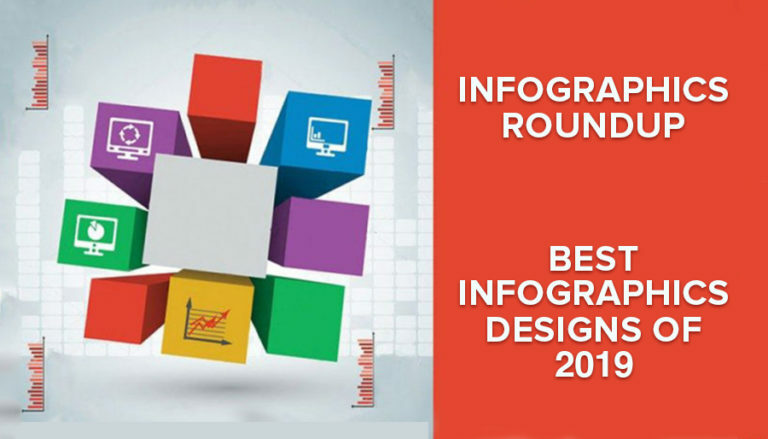 Launch an Infographic Design Contest today. Choose from 100+ designs. Take your pick! Previous Previous post: Why Outsourcing is the Biggest Growth Hack for 2016?